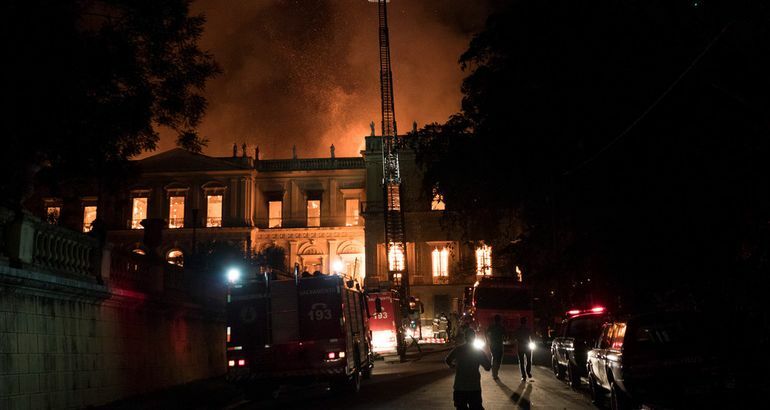 A fire engulfed the National Museum of Brazil on Sunday night, ravaging the stately, 200-year-old museum in Rio de Janeiro and threatening the years of history encapsulated inside. 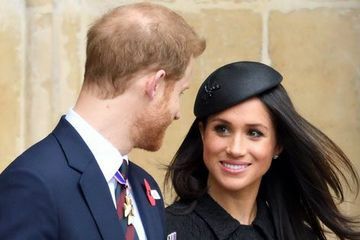 Aerial video posted by the television station Globo showed roaring flames and billowing smoke overtaking the large museum. Windows on multiple floors across the museum displayed a burning orange color. In other shots, the glow of the fire backlit the museum and lit up the dark night sky. Officials did not believe that anyone had been injured. The blaze started about 7:30 p.m. local time, when the museum was closed, fire officials said. Several hours later, firefighters were still working to put out the enormous fire. The museum, now tied to the Federal University of Rio de Janeiro, is the oldest scientific institution in Brazil and turned 200 years old in June. It has large natural history and anthropology collections, but had fallen into disrepair in recent years. According to local news media reports, professors who worked at the museum had collected money to help pay for cleaning services. Matt Stevens contributed reporting from New York.